We’re a dynamic estate agency and letting agent with around 30 years experience of handling property in and around Shrewsbury. When you ask us to sell, or let your home, you can be assured of the strong values you would expect from a well established company. We have earned a reputation as a traditional, respected and trusted agent which works hard to achieve outstanding results for its clients. 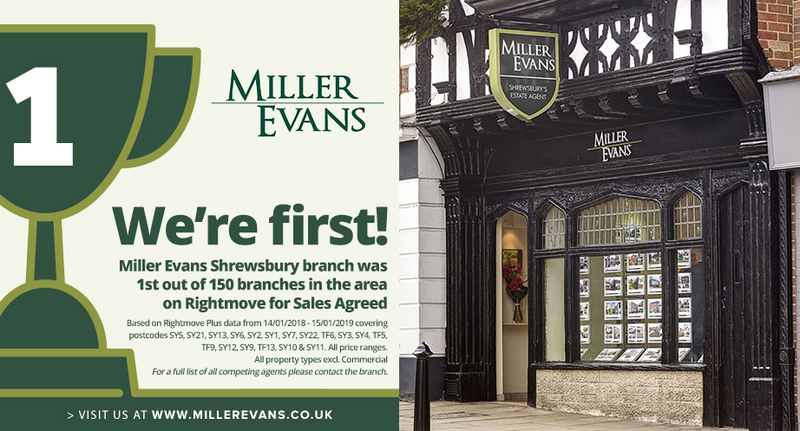 Visitors are always welcome to our town centre office in the heart of Shrewsbury. We have outstanding knowledge of Shrewsbury & the surrounding areas. Our dedicated team of agents are on hand to offer advice and support. We are a trusted and respected agency with a modern approach and traditional values.